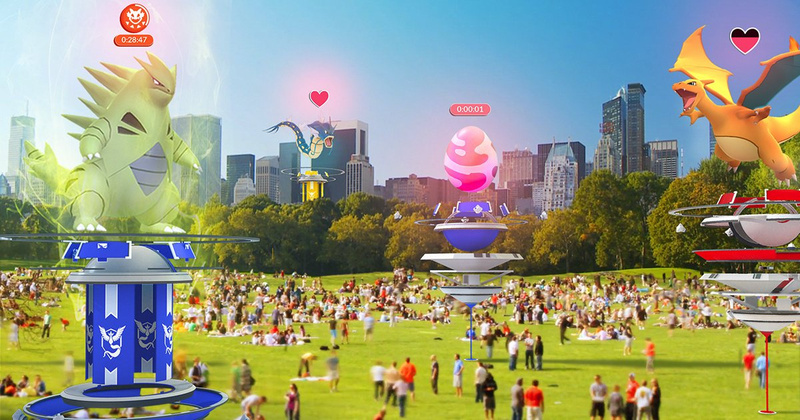 Just a few days ago, Niantic revealed what is arguably the biggest update to Pokémon GO yet, completely revamping gyms, adding in new items and gym badges, and adding Raid Battles. It was known that this update would be done in stages which would be dripped out over the “next few weeks”, but it seems that the update process has already begun for both Android and iOS. What do you think? Have you gotten to try out the new update yet? What other features do you want to see added? Share your thoughts in the comments below. Yay, now if only rooted phones could play it! Nope. It'll still be useless where I live. I thought they were going to include PVP? Not enough people still playing for this to have a significant impact in my opinion. That's a decent patch list. Quite a few updates that had they been there closer to launch, it would have probably pulled in even more players than it did. Hope those who still play are stoked though. From what I've heard, it's only the android version that's being rolled out at the moment... likely having been pushed out early in order to deal with the PTC login issue that had been keeping a lot of people from playing during the final day of the event (which is also why the event has been extended by 24 hours). Yup, a number of PokéStops in my local area have been converted to gyms, which is good because gyms have Photo Discs that can be spun for items and gym badges too now. Seems to me it adds some useful value to the gyms they lacked before because of coining squatters. That said, it won't open them up to people who aren't coining squatters though. All those people with the 3000-3500CP pokemon will still just squat for coin. The same coin that buys them more lucky eggs and the ability to get into keeping their motivation levels high so they're not tossed out. More ways to coin a moronic whale player while keeping a normal level person out because they have nothing that can compete. Further by lowering the bar to just 6 spots from 10 to match the RPG it's kind of a shut out with 40% less space to pop yourself into. My area here you have to be 3000-3500CP to get into anything at all so it's always the same names/colors in spots making a good chunk of the game worthless. 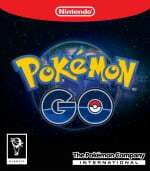 I'm not much into it or I'd have quit long ago, but i'm running out of pokemon to find because those idiots won't fix the balancing distribution in the game. Unless they do events large chunks of the population don't show in my area unlike a few months ago when I traveled out west where you had something from most of the classes of pokemon while here you have maybe a third. It gets really demotivating, and they wonder why people would cheat and use teleportation apps. So by allowing raids anyone can get into it to at least do something different, and of course tossing a bone with the gym being a stop for supplies too doesn't hurt either. It's still telling me that gyms are under construction, even though gyms now have their new shape. Reason 1 and 2 I never did the games this fixes absolutely nothing about gyms. I have several mon in the 2400-2700 range, just from playing when I walk my dog several times a day. But the few times I looked at a gym, there are 5 Pokémon all over 3000. Now I have 4 rows of Pokémon maxed out, and the highest is a 2761 gyrados. You want me to believe there are several snorlax above 3000 at one gym when I have played everyday since the day the game came out and I've seen 2 snorlax period, one from an egg? The gym is 80% scammers in my area. I would assume in most areas, and there is. I incentive to fix it. Why should they becuse if you care to try to beat them you willl spend coin right? lol it's a joke. Either make gyms have trainers with Pokémon that you have to beat, rewarding you with badges to make catching certain types easier, stardust and experience, or make gyms intergral to catching rare Pokémon that have NEVER appeared in your area(Blissey, I'm looking at you). Really hyped for this update! Was hoping it'd be available for me by my morning walk today, but looks like I'll have to wait a bit. Excited to see other players in my area once Raid Battles start! I'm also happy about Gym Badges, now I'll have memories/proof of the areas I've explored. @tanookisuit I clicked on the raids button and it said I wasn't a high enough level, so I'm guessing that only 30+ can participate in raids. @Naustix I saw that too, but it could be that it's just not active yet as the gyms are still gray so it's a total lockout.